You searched for which does not fit your . We've redirected you to 104-815, which has the proper fitment. • Net weight: 2.0 lbs. This helmet fits like a nice glove. Very comfortable & light. Also, the shield configuration is cool! Well made. 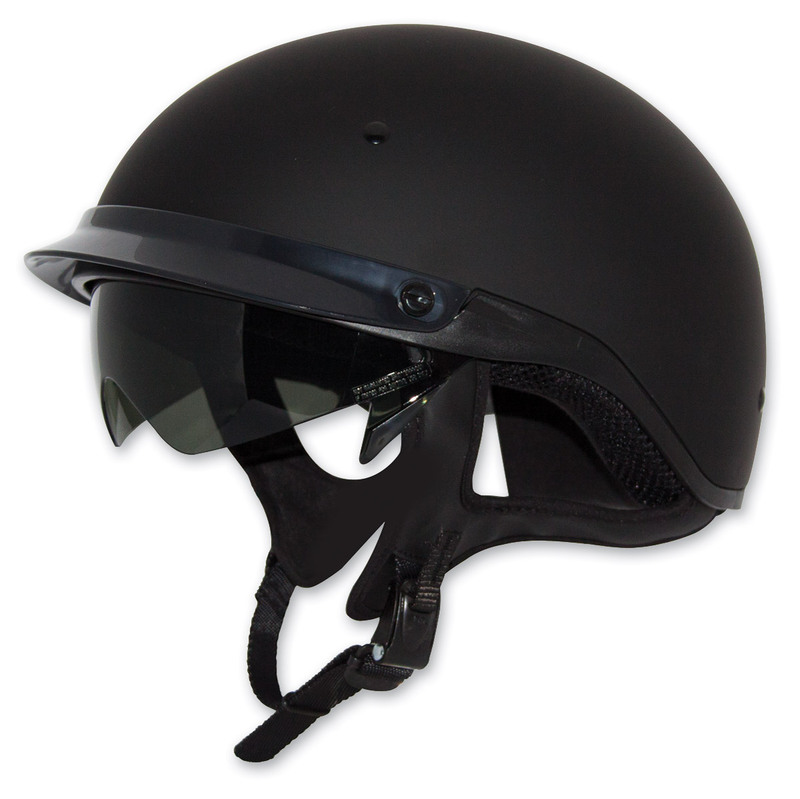 Great helmet, light, fits great and the pull down shield works very well. I like the quick pull disconnect, makes getting the helmet off a breeze. Excellent quality for the price...great product. This is the best half helmet I have because of comfort and fit. The botton on chinstrap popped off but i can wrap it so it don't flap in the wind. Of my 5 Helmets this is my most used and I would buy it again.